The Life Recovery Program is a residential program offering comprehensive help and hope for men, women and children in desperate circumstances, such as chemical dependency, domestic violence issues, or destructive relationships. Our curriculum offers Bible classes, recovery and relapse prevention training, general life skills application, mentoring, physical fitness, art therapy and cultural recreation. Our goal is to enable men and women to establish healthy relationships and to develop Godly choices that will benefit their lives and those around them. This long-term program (9-12 months) provides the support necessary for recovery, restoration, and empowerment to sustain a healthy and whole outlook for the future. Child care assistance is available for women with children. 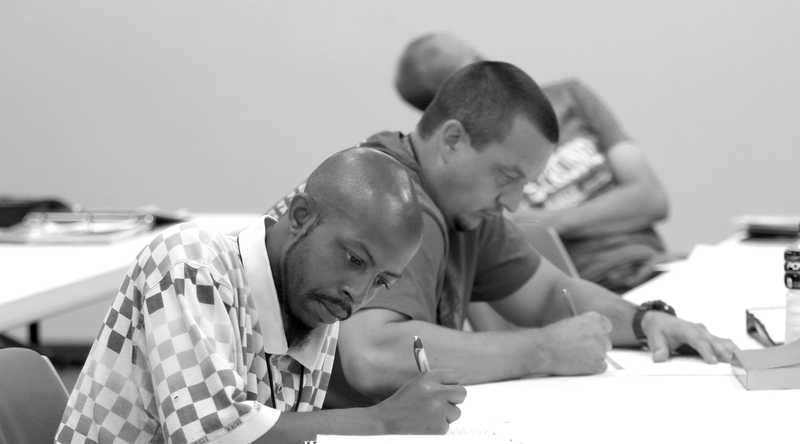 Rockford Rescue Mission is a state certified Recovery Home offering Life Recovery programs free of charge. If you, your loved one, or a friend needs help, please download an application. Once your application has been received, it will be reviewed, and an appointment may be made for an interview. When accepted into the program, entry begins immediately. Should the Life Recovery Program be at capacity, your name will be placed on a waiting list. If there are conditions that prohibit the Mission from best serving you, we will give referrals to other partnering organizations that can best meet your needs.